I've got something exciting to share! 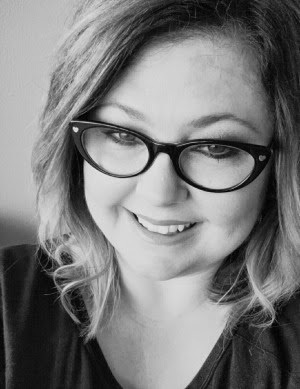 The She Reads Truth gals are actual published authors!! 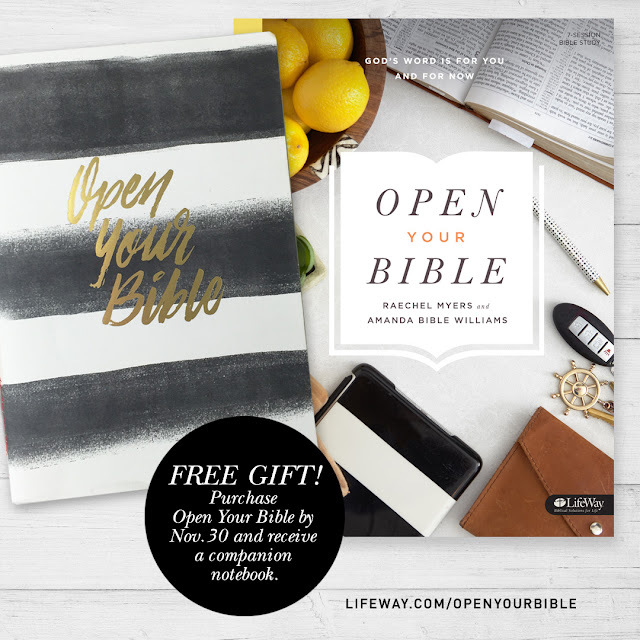 Raechel Myers and Amanda Bible Williams have partnered with LifeWay Women to publish Open Your Bible, a 7 session study on The Word. "Open Your Bible is the first Bible study partnership with She Reads Truth and LifeWay Women. This means that we are taking the best of both worlds and melding them into a study that we think women will love. The study is seven sessions long (meaning, if you do this in a group, you will meet seven times). It has six weeks of personal study (or "homework," but who likes that term?). Each week of the study will have you diving deep into Scripture to discover truths about God's Word from God's Word. This is a print-only study. It will not be on the She Reads Truth website." I love that you can do this as a group or by yourself. I don't know about you but reading The Word consistently makes such a difference for me. This new study sounds like a Word Enricher (ha! spell check doesn't like that word!) and we can all use some of that! ....a Free Gift and Free Shipping! All orders made by November 30 will receive a companion notebook and free shipping. Are you thinking Christmas gift yet? Cause my Secret Sister might be getting this! I do believe this would make a great 'starting point resource' too! 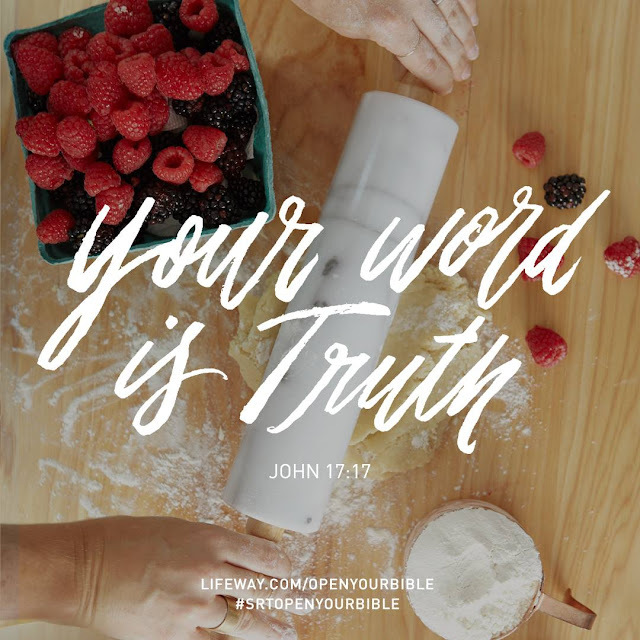 Open Your Bible launches Monday November 2! You can preorder now and still partake in the free goodies!